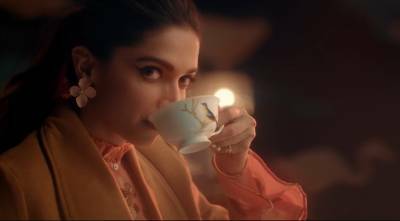 Bollywood actor and fashion icon Deepika Padukone’s fashion brand for women, ‘All about you’, in association with Myntra, launched a campaign to promote its 2018 Autumn-Winter collection. Inspired by Deepika’s style, embracing modern femininity of women in India, AAY’s, AW18 collection is a careful contemplation of the brand’s stance with a subtle hint for the season. The highlight of the campaign is a 30 second commercial, featuring Deepika, who illustrates the range and variety that AAY offers for every mood and occasion, conveying the ultimate message that it has something in store for everyone and brings out the best in every woman. This new campaign will be across digital, cinema and outdoors. The Commercial: Brimming with style, elegance and grace, viewers witness Deepika offering a glimpse of her new collection through multiple portrayals of herself - as a millennial with an old soul, as a young girl who likes to change with the seasons, as someone who enjoys giving everything a little twist and then as someone who likes to keep it simple. Her changeovers are subtle, yet powerful, as she delivers the message – whoever you are, whatever your mood, make it ‘All about you’. Viewers witness her embellished in a beautiful high neck flared sleeves dress and a blazer that goes perfectly well with it, followed by an elegant dress with an overcoat, a micro skirt and a cosy pullover and finally a palazzo pant with kameez, offering a touch of tradition and leaving the viewers enamored. AAY’s new collection is inspired by a modern women’s journey in life, as she traces different avenues, effortlessly and with style. The new range has a festive feel, be it western or Indian wear, catering to the different occasions in a woman’s life. The colour palette ranges from our signature pastel colours to some beautiful mustard and blush pieces which the brand stands for.